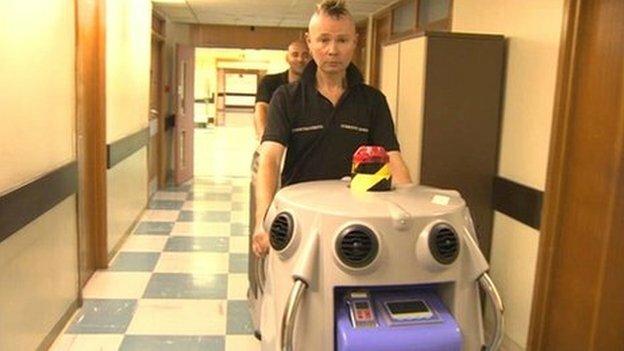 Dalek-like robots are being employed to clean the wards of a North Wales hospital. Robomen being lead by a Dalek. Image by the BBC. One of my friends (who shall remain nameless) was worried about robots taking over the world. His nightmares will only get worse! A member of the cleaning staff at Glan Clwyd hospital in Bodelwyddan. Image by the BBC.